They say always go someplace you’ve never been before, but with Yogyakarta, it’s an addictive place that needs to be visited at least twice in a lifetime. With all the soulful elements that make it one of the most visited place in Indonesia after Bali, this city in Java is the hub that still beats with the rich traditional heritage of the royal Sultan, pure Javanese arts & cultures, and genuine charm of its people. 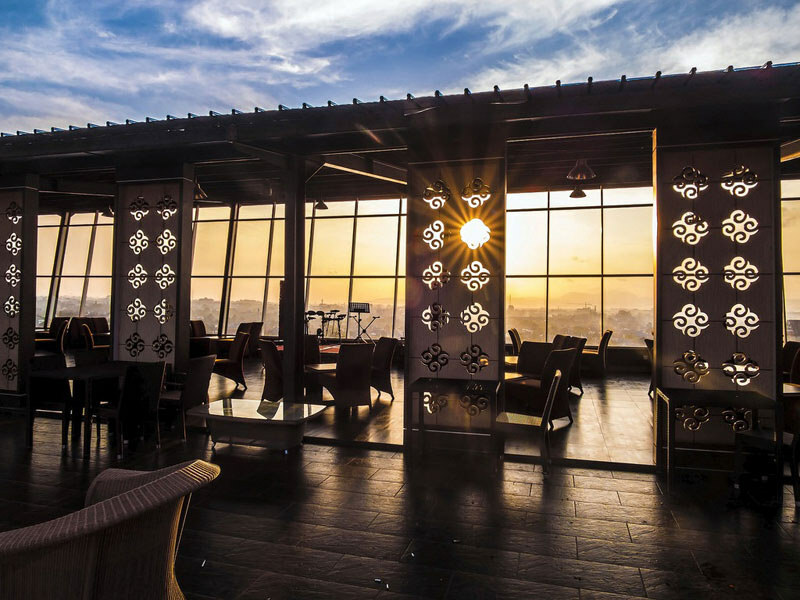 What further highlights all those venerable qualities is the fact that Yogyakarta is also a constantly growing metropolitan with amazing accommodation for those who plan to explore Yogyakarta in modest style. 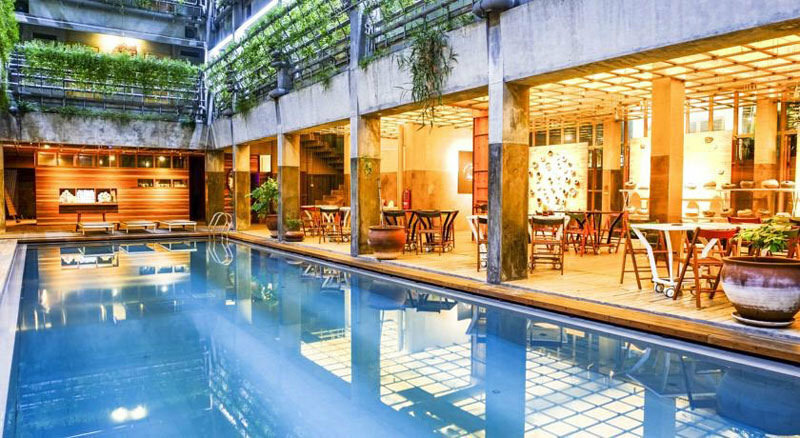 As evident by these 12 hotels in Yogyakarta, staying here is not just ridiculously affordable for just under $35, but they also reflect the allure of what makes Yogyakarta such a captivating city to be in. 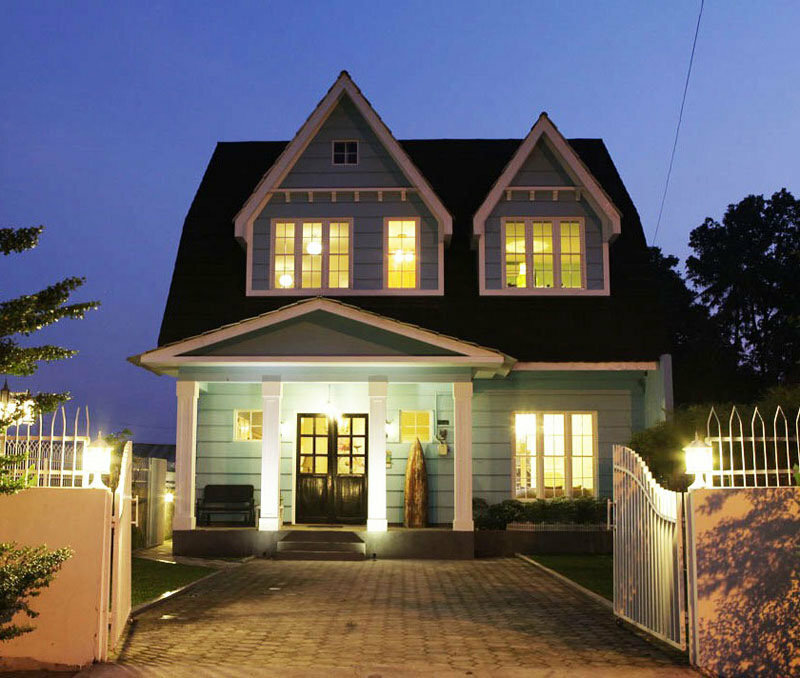 There are 2 Prawirotaman streets in Yogya and both are home to the hustle and bustle of cafes and hotels for travelers. Adhisthana, however, is situated at the quieter 2nd one. 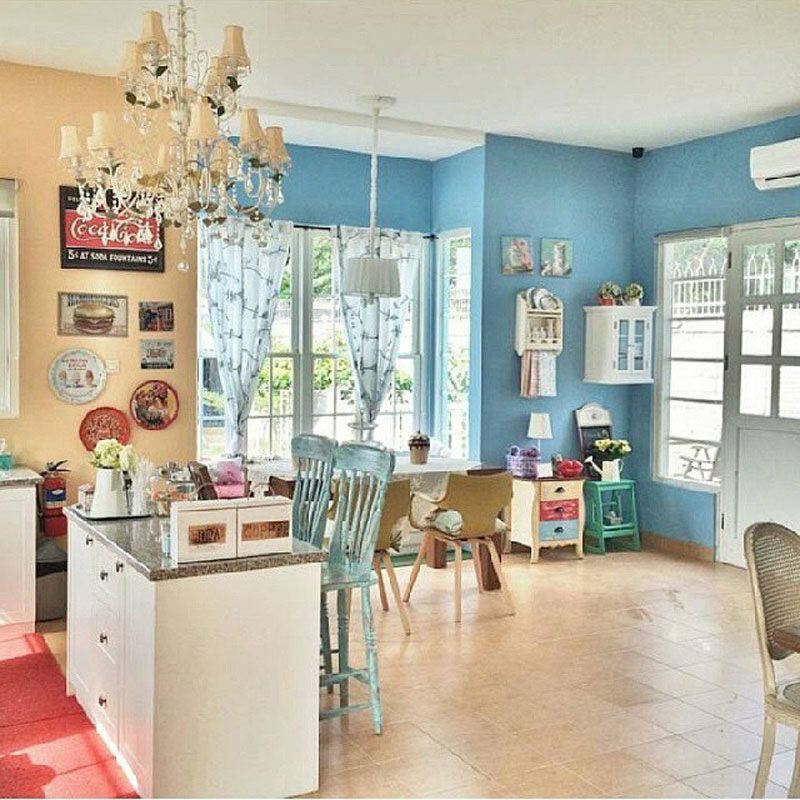 This quieter location comes alive with its nearby traditional market where you get to soak in the colorful morning scene of locals going about their day in this area. 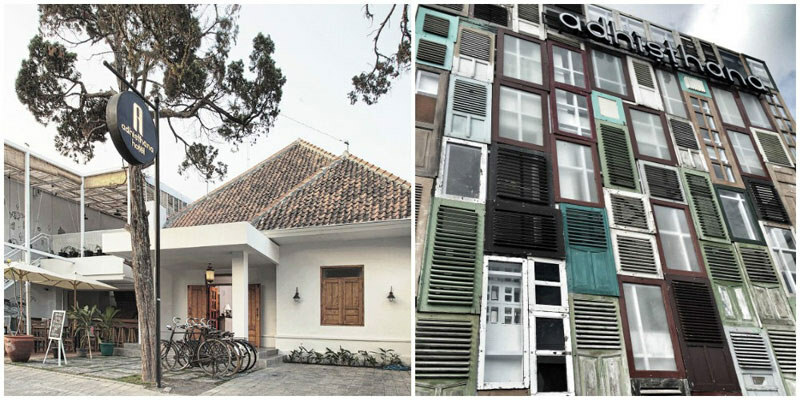 The hotel’s artsy exterior welcomes you with their signature rows of mounted windows. 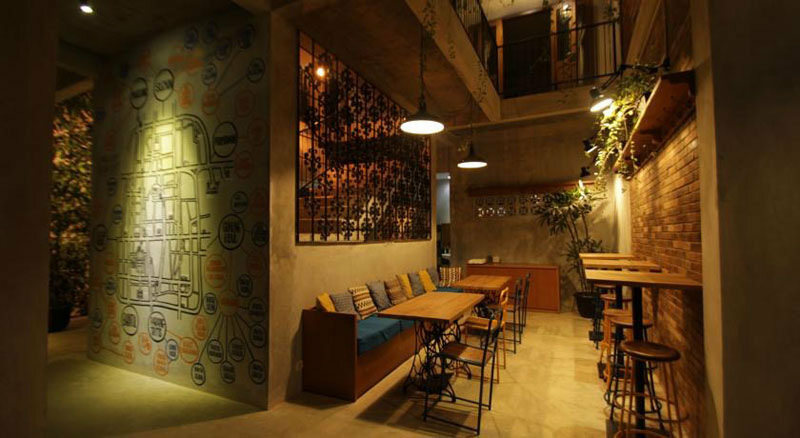 It is also conveniently attached to Lawas cafe – Adhisthana’s own eating spot with a unique open terrace and wall of cool graffiti doodled up along the stairway. 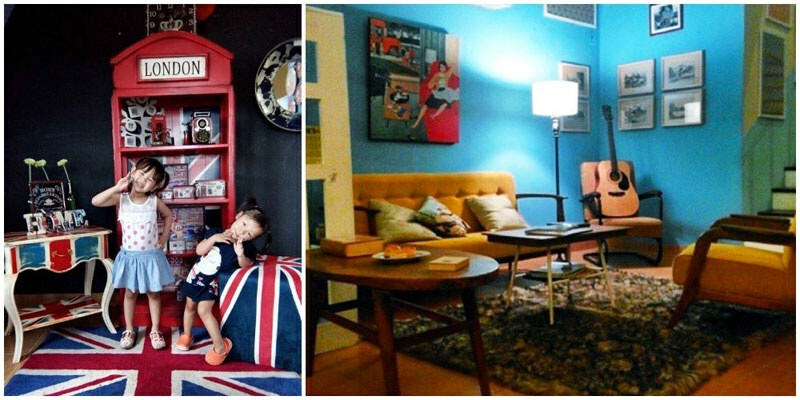 The homey vibes are apparent in this urban meets traditional hotel. 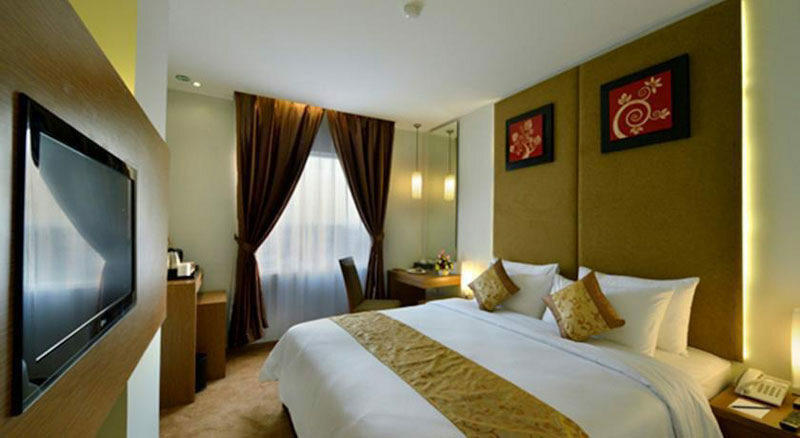 The lodging selections vary from dormitory rooms to the standard types of hotel rooms decked with amenities. 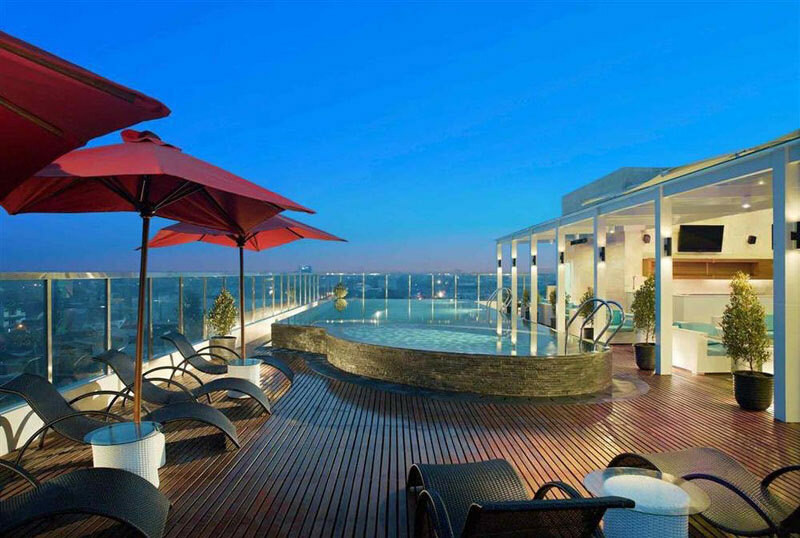 Cleanliness and service are impeccable, and it comes highly recommended. 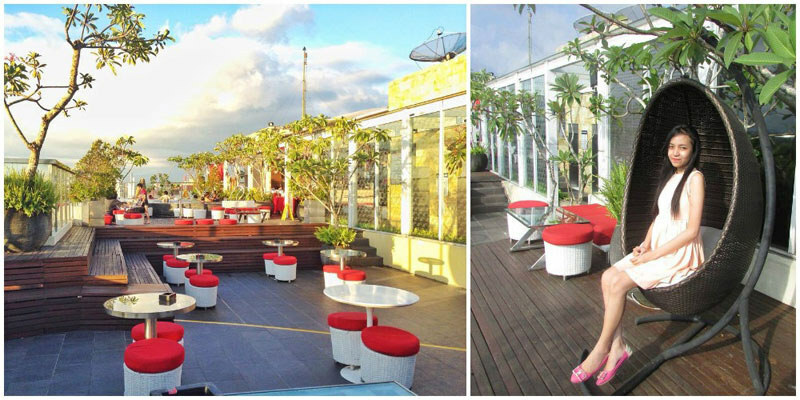 Location-wise, it is the perfect spot to explore Yogya in style, with Malioboro street just about 15 minutes away by foot. With the silhouette of the grand Mount Merapi in the distance from the window of your hotel room, every night at The Edelweiss is guaranteed to be a scenic delight. 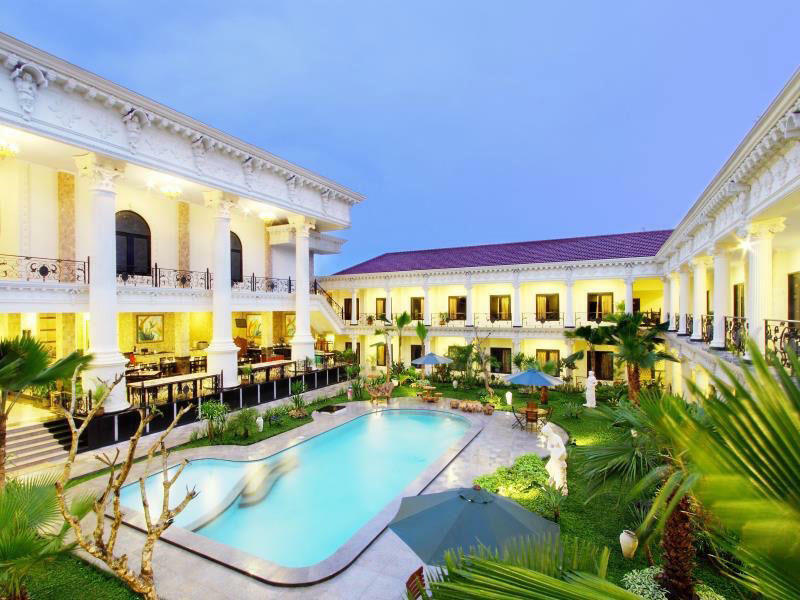 The boutique style hotel stands tall in the lively district of Yogya. 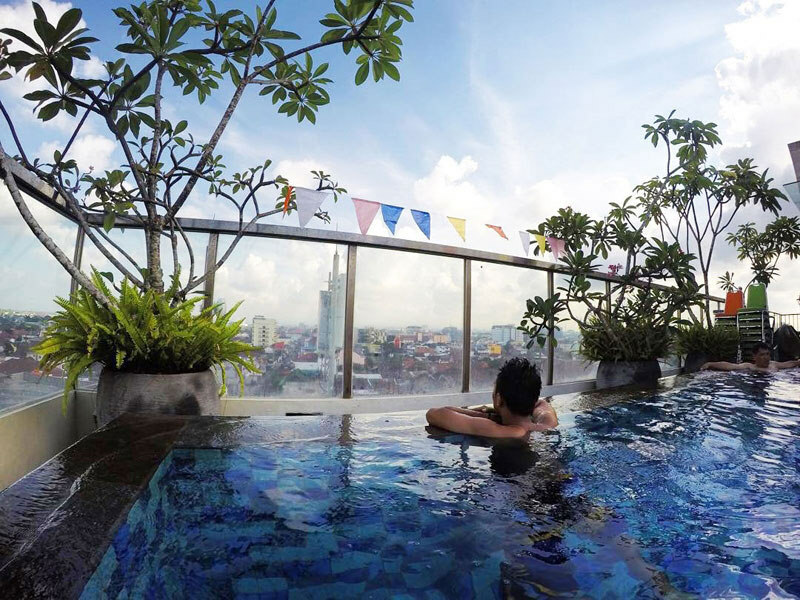 With a plan to show off the city’s picturesque beauty from above – the rooftop swimming pool and patio makes for the perfect front seat to the breathtaking panorama. 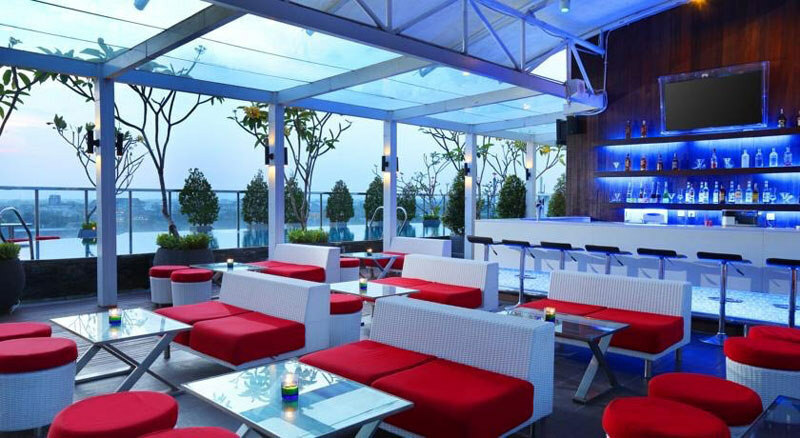 Overlooking the expanse of blue sky with streaks of white clouds and Mount Merapi, surrender yourself in the breezy atmosphere and relaxing surrounding as you swim along the rooftop pool. 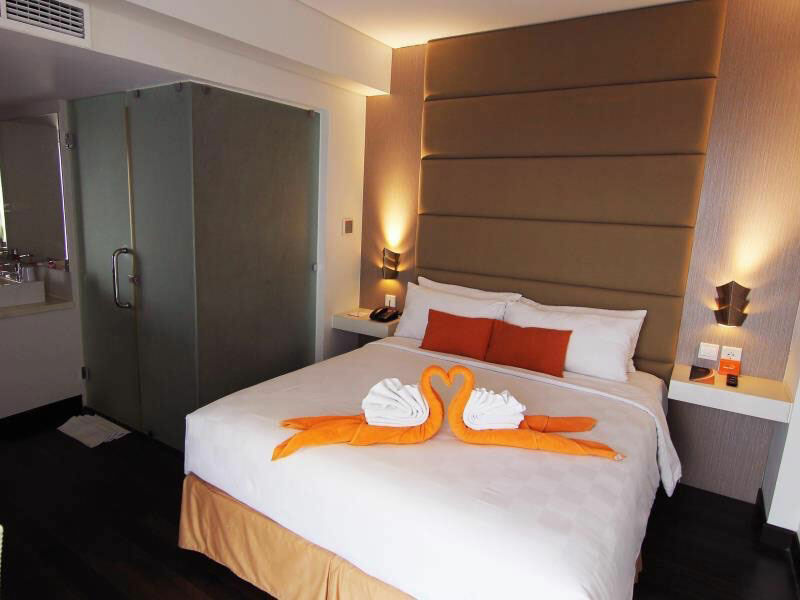 Strategically located at the North part of the city, The Edelweiss is a 3-star hotel that presents guests with clean and modern simplicity. 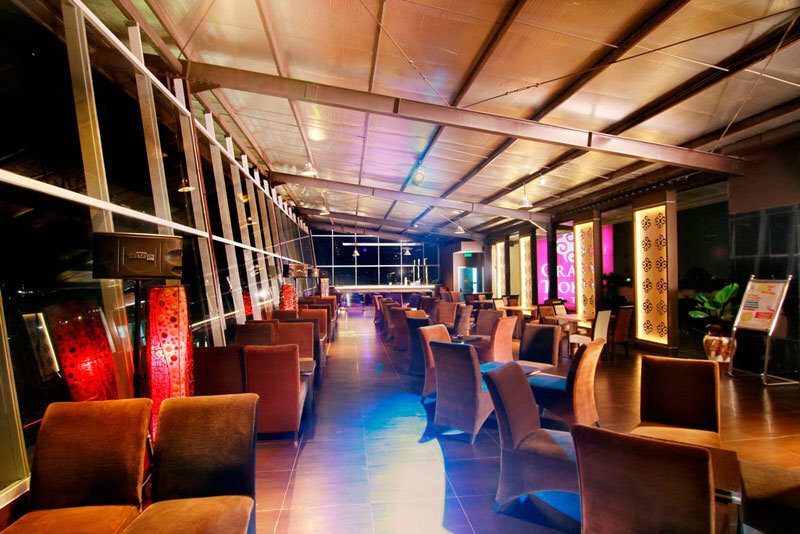 Just so you know, it is also adjacent to several top entertainments such as Saphir Square, Affandi Museum and Galleria Mall. 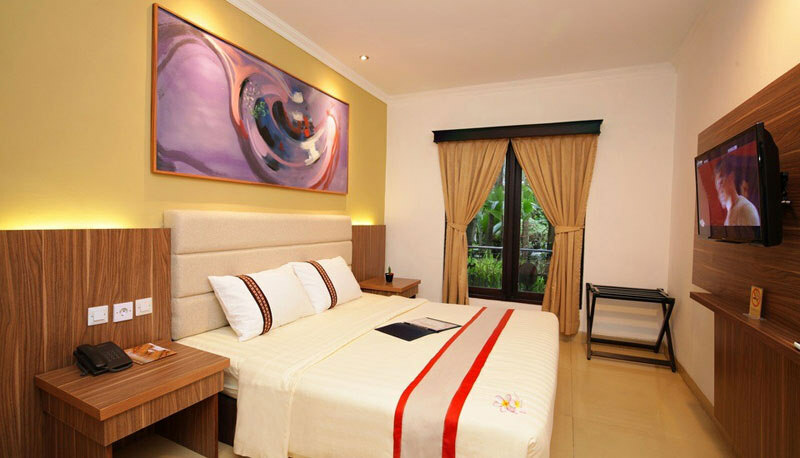 You get to enjoy great access to Yogya while indulging in the complete facilities Edelweiss Hotel has to offer. 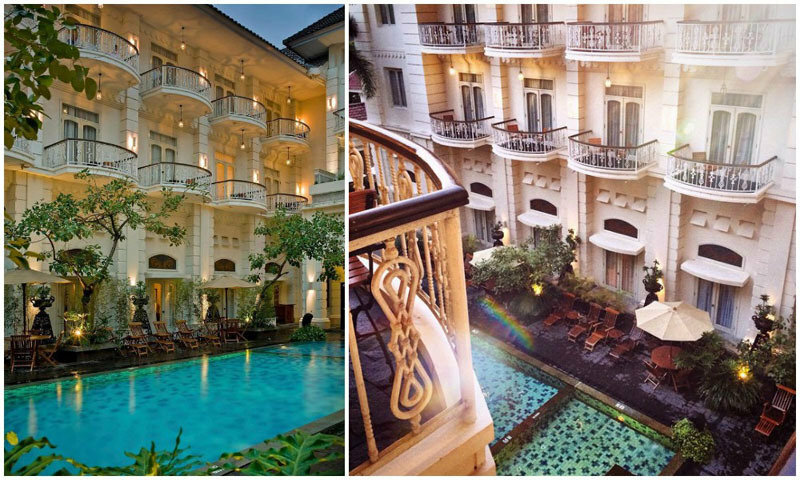 There’s no mistaking the grandeur of Grand Palace Hotel as it takes the shape of a Roman King’s royal abode, complete with pillars and ornate goddess statues. 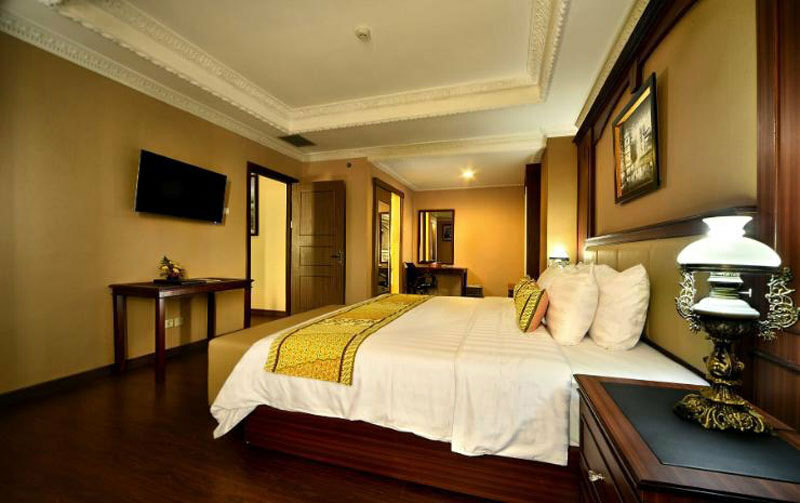 This sizeable 3-star hotel continues to impress with beautiful interior setting and decoration, great layout, spacious rooms, swift service, cleanliness, and decent facilities – all of which makes Grand Palace Hotel the best selection especially for travelling in with the children or family in tow. 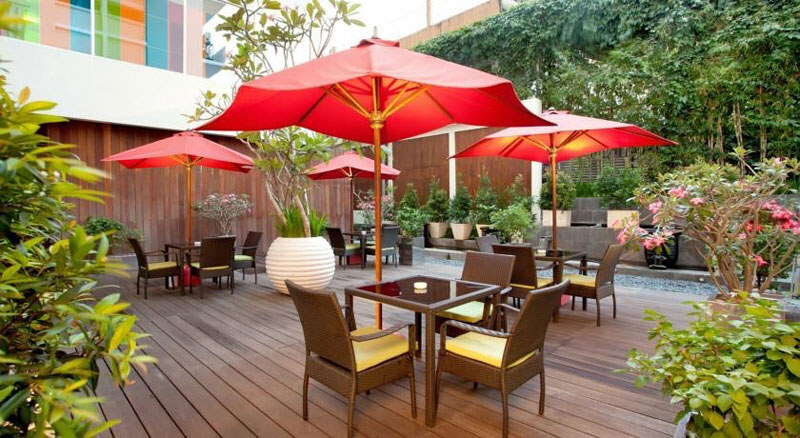 Nestled in the alleyway away from the busy core of the city, there are plenty of transportation choices readily available at the front of the hotel to whisk you off to a day of shopping and adventure – after a well-rested night at Grand Palace Hotel. 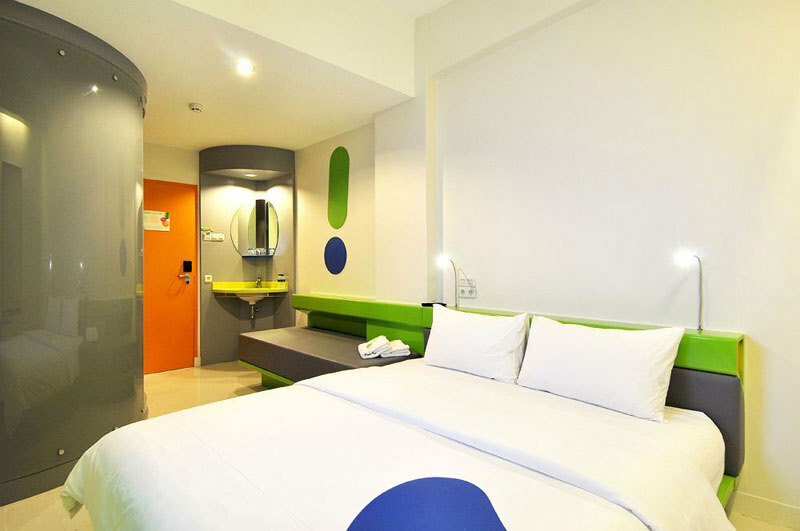 Ideally located in Malioboro district within walking distance, the trusted name in hotel chains – Ibis – delivers youthful vibes with a colorful and pop modern concept suitable for leisure and even business travelers. 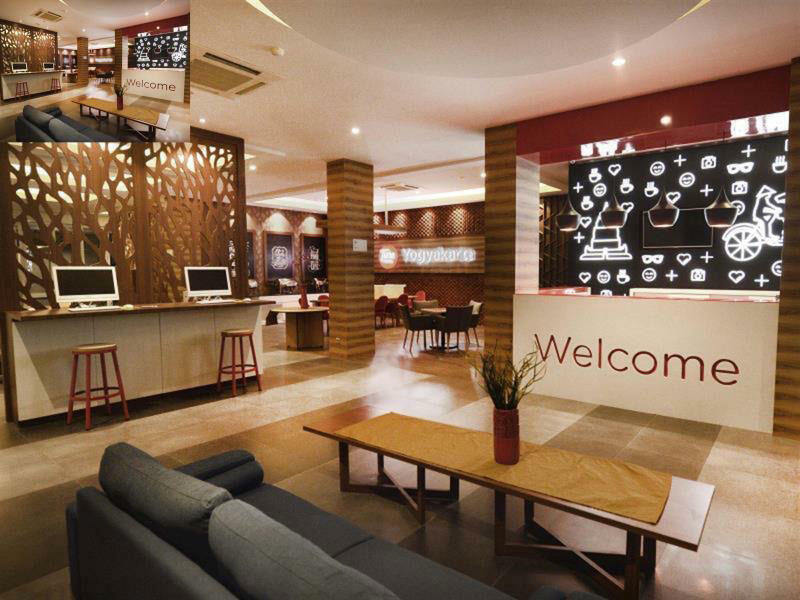 Maintaining the standard of Ibis’ reputation, Ibis Style will not disappoint you in terms of stay and service. 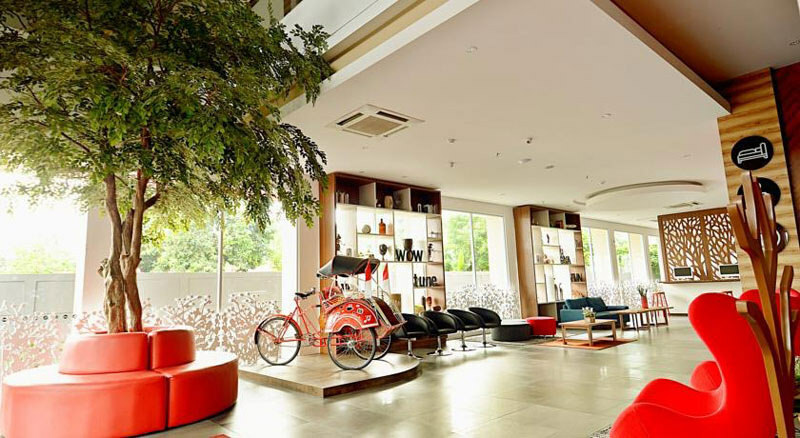 Located just behind the high street of the town center, hop on one of the many trishaws or a horse-pulled vehicle to embrace the Yogya evening in style. 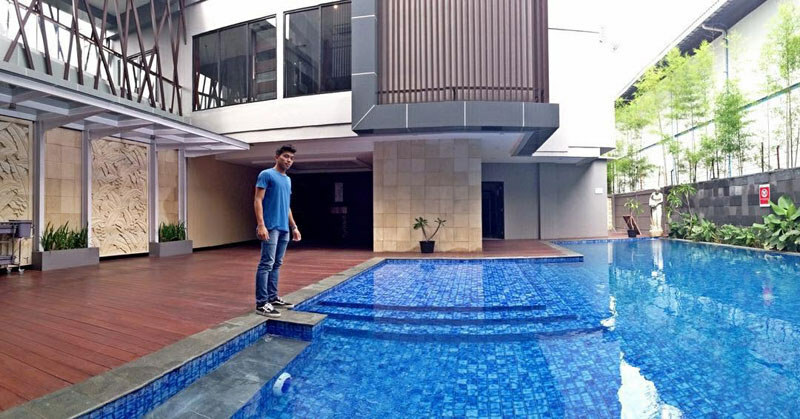 Perhaps it is the overall hotel surroundings or simply the Yogya air, because the jovial attitude from the hospitable staff instantly makes everyone feel welcomed and ready for an exciting adventure. In fact, as the famous Sultan’s Palace and even plenty of other heritage attractions are just 5 minutes away, you’ll be pumped to explore Yogyakarta with that same contagiously good spirit. This beautiful haven comes with its own (chocolatey) rich history. 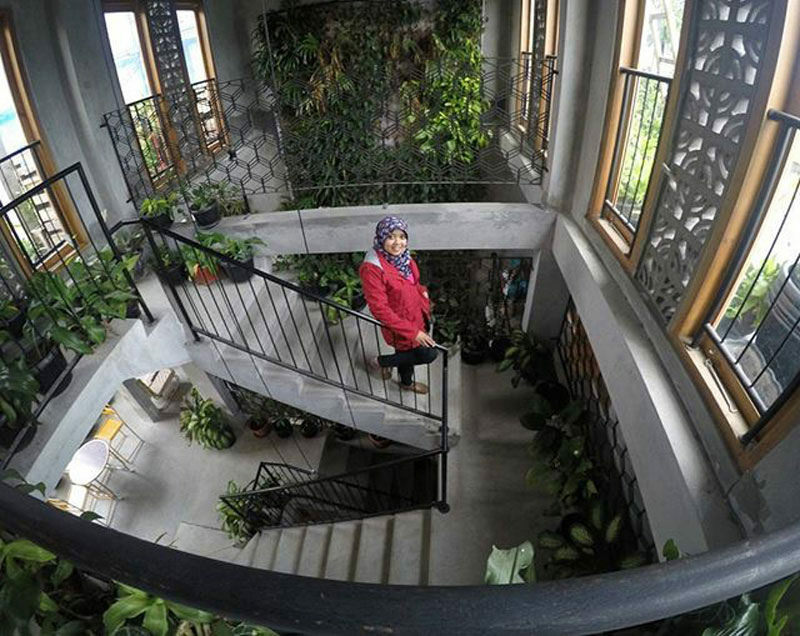 Pawon Cokelat Guesthouse was originally a small shop selling chocolate cake. 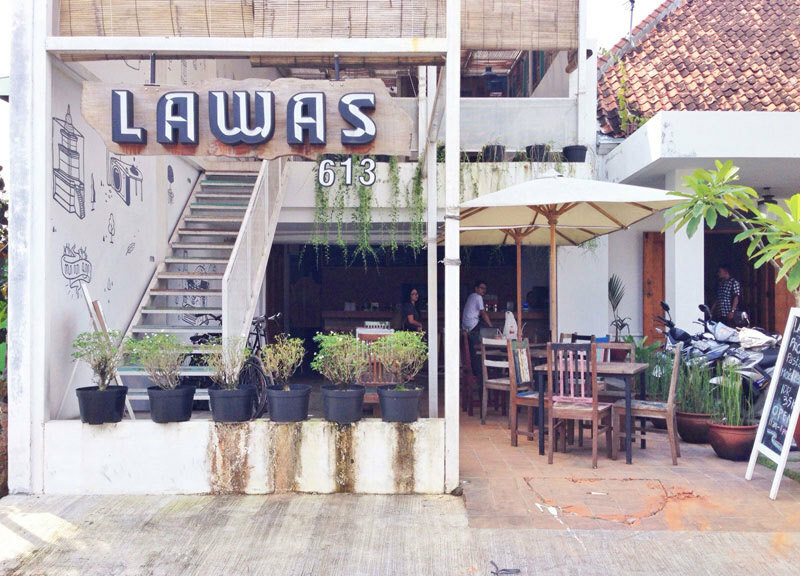 As the years passed, the chocolate lovers behind Pawon Cokelat gradually developed it from a humble shop to the current amazing little hideaway – tucked just off of Malioboro Street, and a 5-minute walk from Yogjakarta Tugu Train Station. 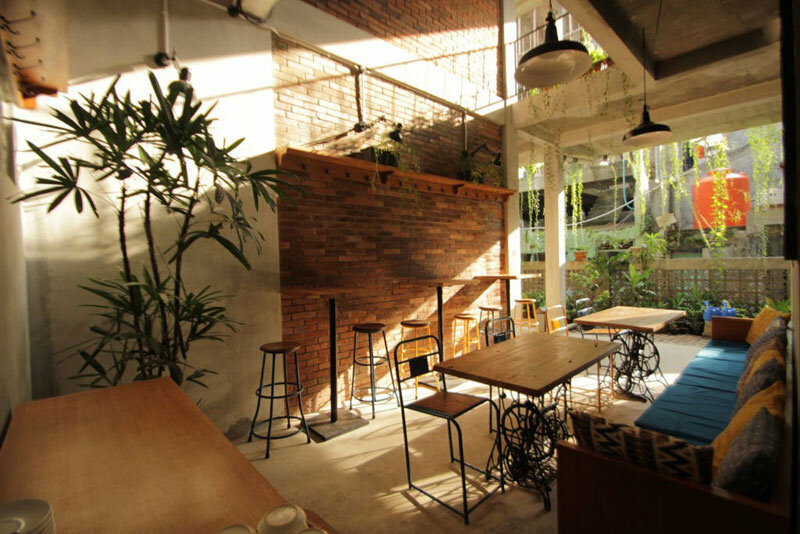 There’s a mixture of vintage/industrial/nature vibes, which come together creating a peaceful accommodation for those travelling to Yogya. 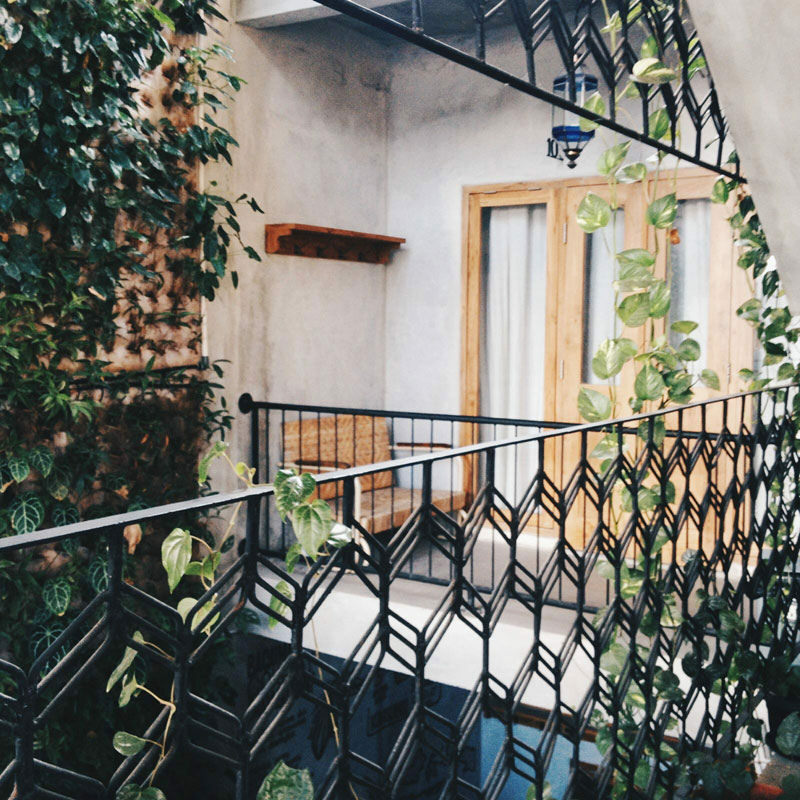 From the minimalist rooms and the quaint café, to the vertical gardens, and even a rooftop garden – don’t you just adore how Instagrammable every corner is? 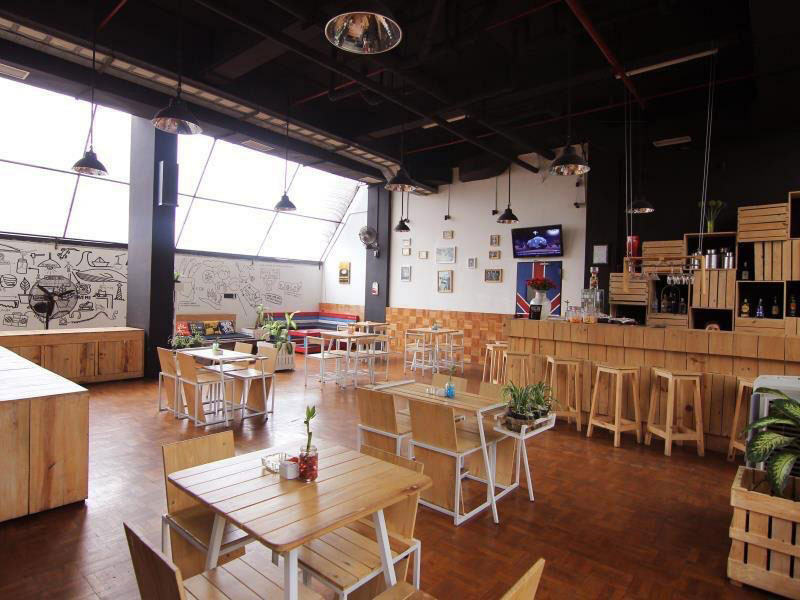 One of the best parts of Pawon Cokelat though, has to be its convenient location that allows you to travel to the main areas like Jalan Malioboro and Jalan Sosrowijayan easily. 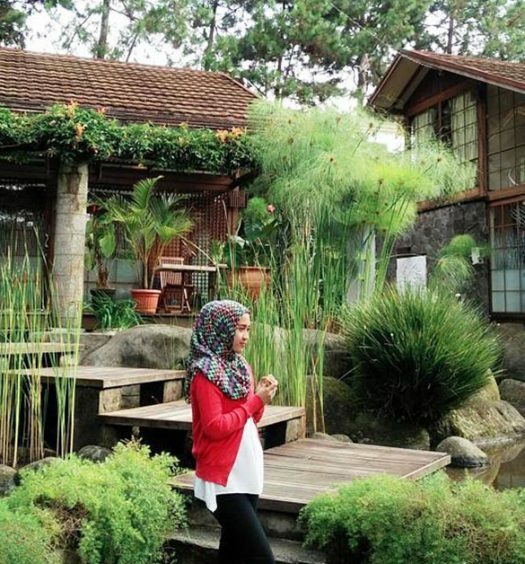 With good food, shopping and tours easily available, your trip to Yogya will be nothing short of complete! Do note: If you’re one who needs a good hot water shower, Pawon Cokelat Guesthouse unfortunately does not provide water heaters. 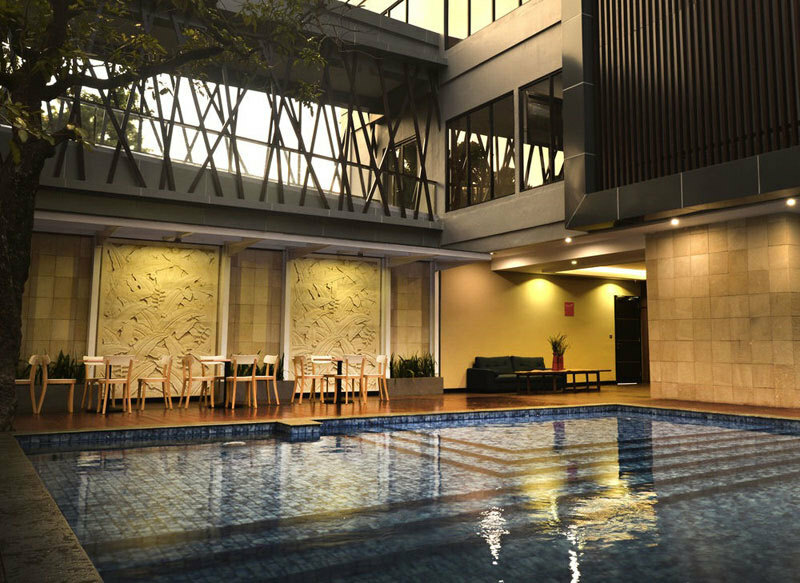 Conveniently placed at the heart of the city, Sahid Rich Jogja is especially favored for having direct access to one of Yogyakarta’s biggest and most happening malls – The Jogja City Mall. 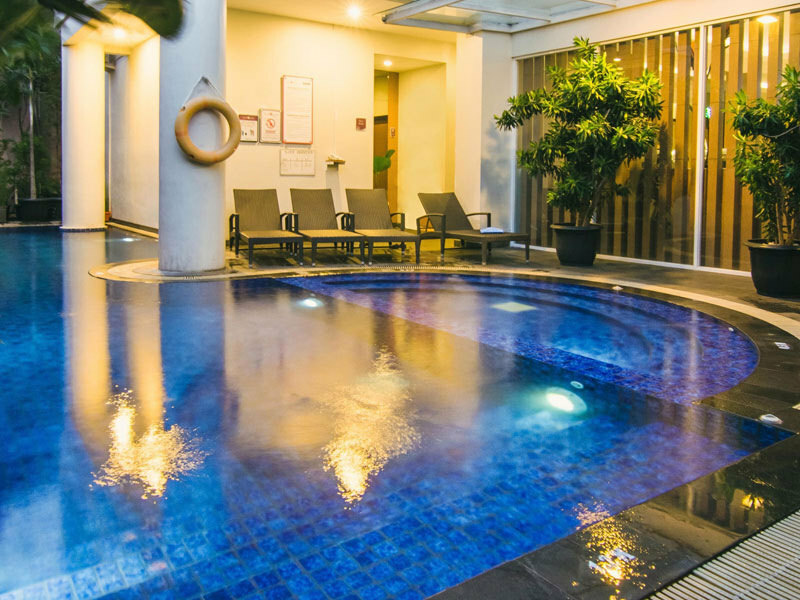 This contemporary 4-star hotel adheres to its standard by providing international standard facilities including a spa, fitness centre, swimming pool, restaurant buffet, and plenty more. All with a price to beat, to satisfy those who seek luxurious comfort without breaking the bank. Its theme of modern classic directly makes you feel right at home, with huge and clean comfortable beds plus lengthy choices of breakfast. 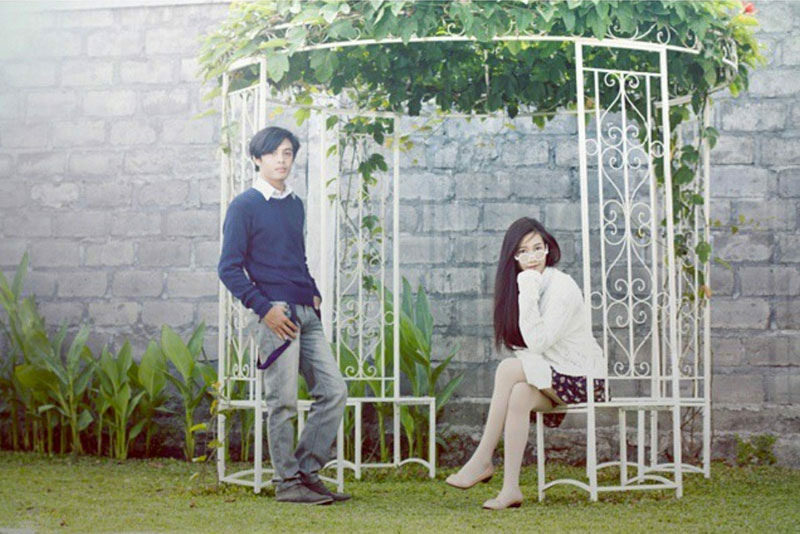 With its quirky and colourful concept POP! Hotel Gandekan reminds us a little of the famous capsule hotels in Japan. 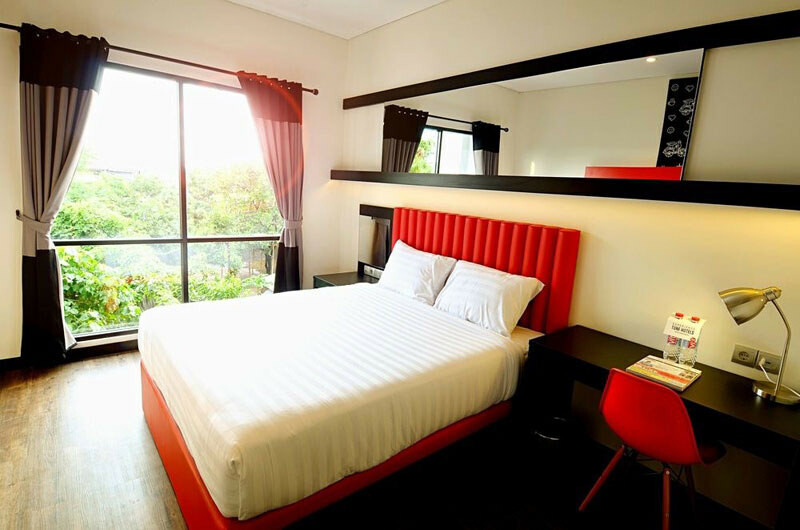 It’s a clean and no frills place to stay in – if you’re looking for a fun, simple, and conveniently located hotel. 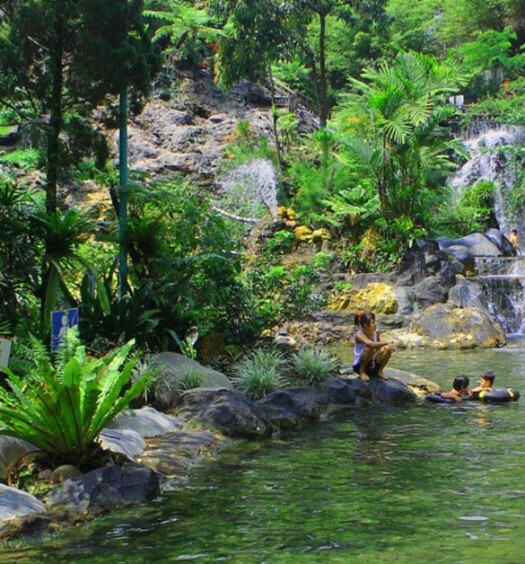 Just a short walk away from Malioboro, and Sosrowijayan, POP! 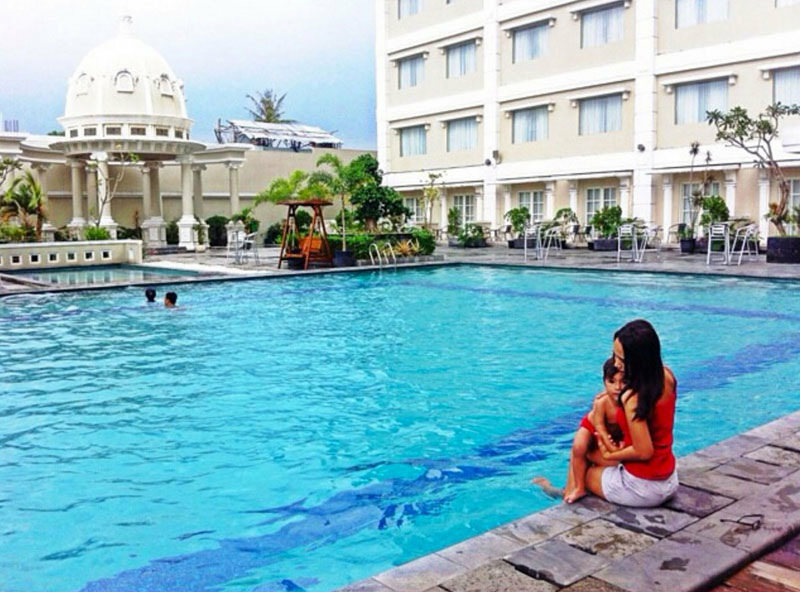 Hotel Gandekan very simply provides what you need as you holiday in Yogya. 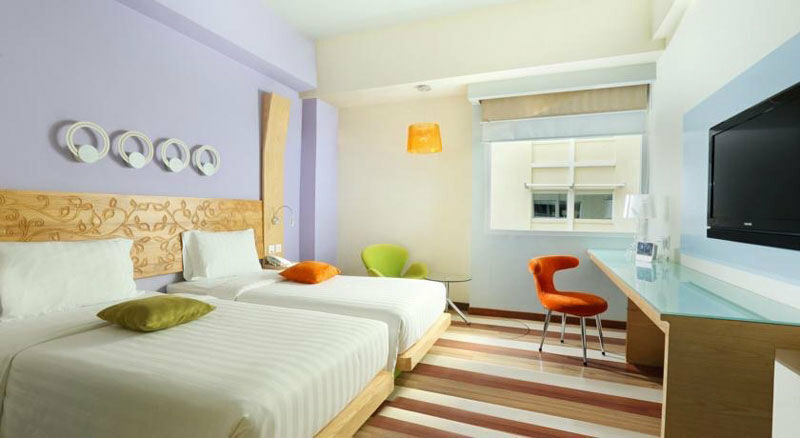 Free WiFi in your room and public areas, heated shower, and better yet, access to the best places around. 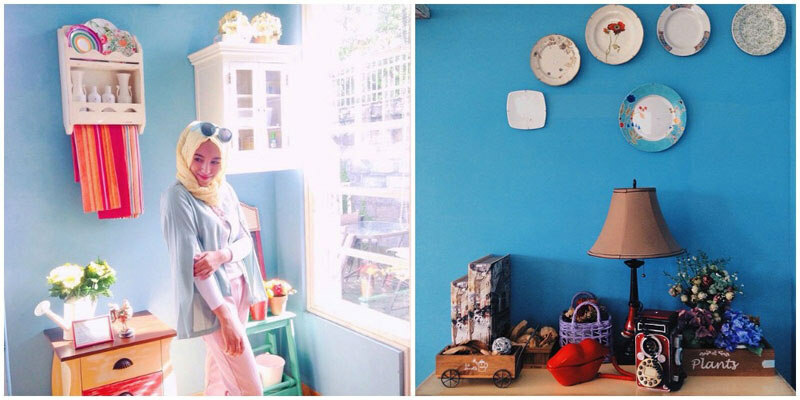 For shopping, eating and all that jazz, hit up Malioboro and Sosrowijayan. 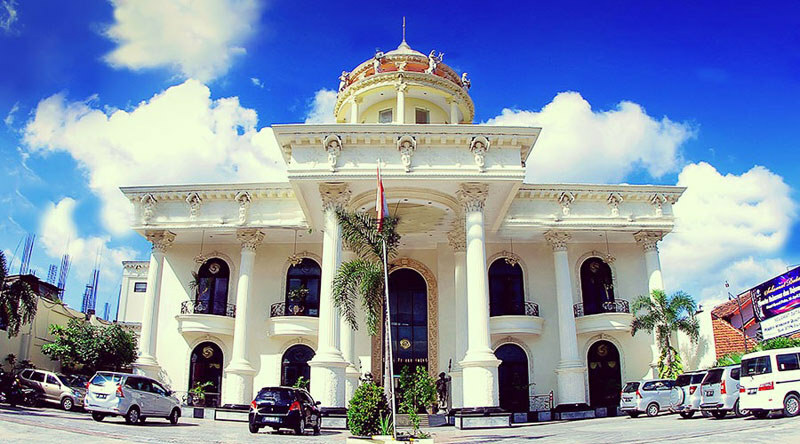 For some culture and sight-seeing, Sultan Palace is only 3km away! 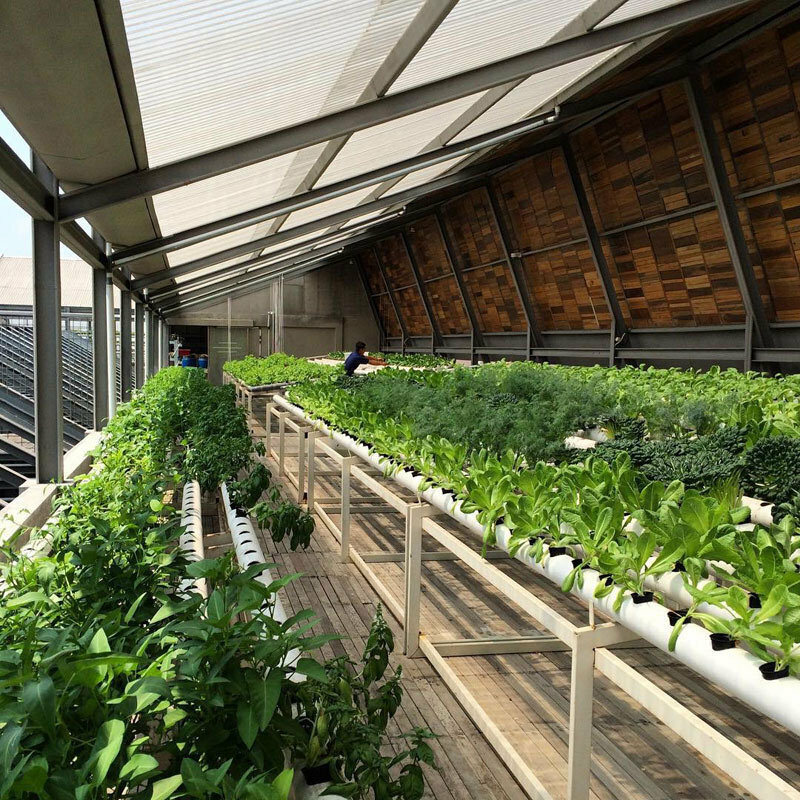 If you’re feeling hungry, there’s also an in-house café that will ensure you are hungry no more. 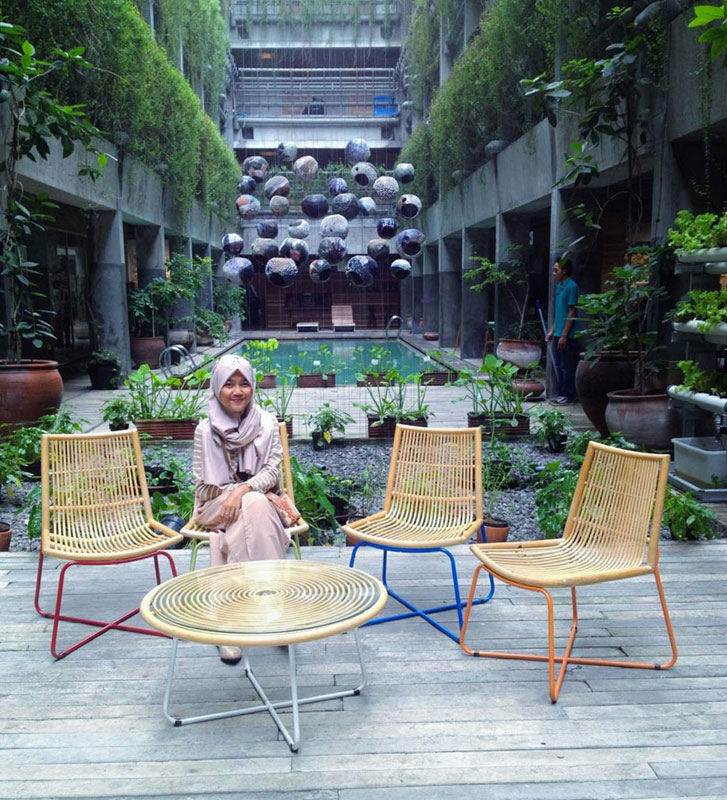 The newest Tune Hotel in Indonesia, Tune Hotels Yogyakarta has an interesting minimalist/futuristic concept. You’ll see a hint of it the moment you step into the lobby and see a wall of cute emojis. 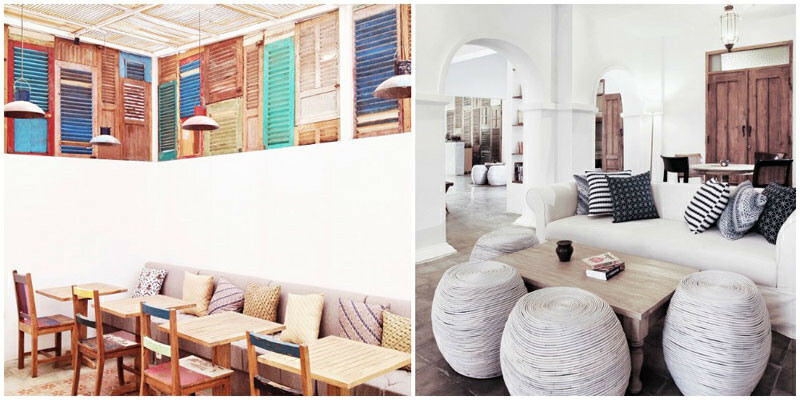 Apart from that, everywhere you turn and look in this particular hotel gives off a distinctly creative vibe with its interesting design elements. 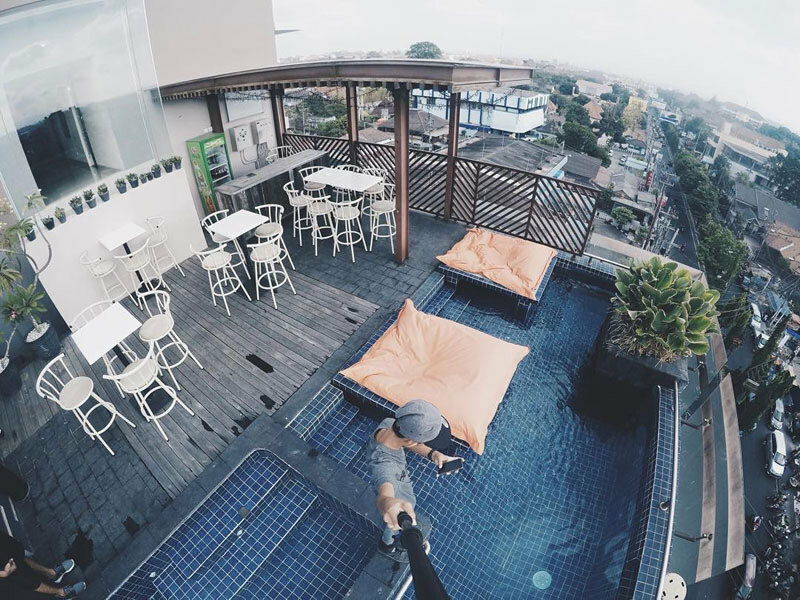 Another place that will fill your Instagram feed with ton of the cutest photos, Tune Hotels Yogyakarta also has a great pool for you to swim and chill in. 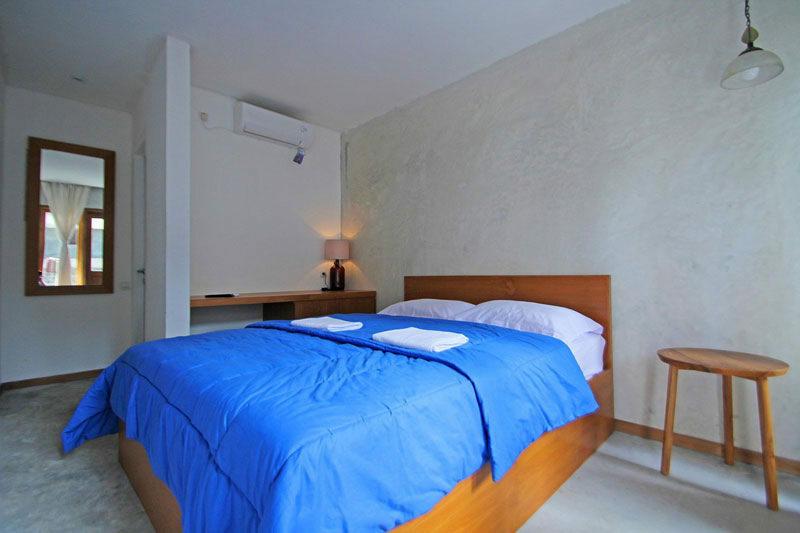 The rooms include free WiFi and even rain showers! Of course, you can’t stay indoors throughout your vacation – you will be happy to know that attractions such as Kekayon Museum and Gembira Loka Zoo are a leisurely 30-minute stroll away. 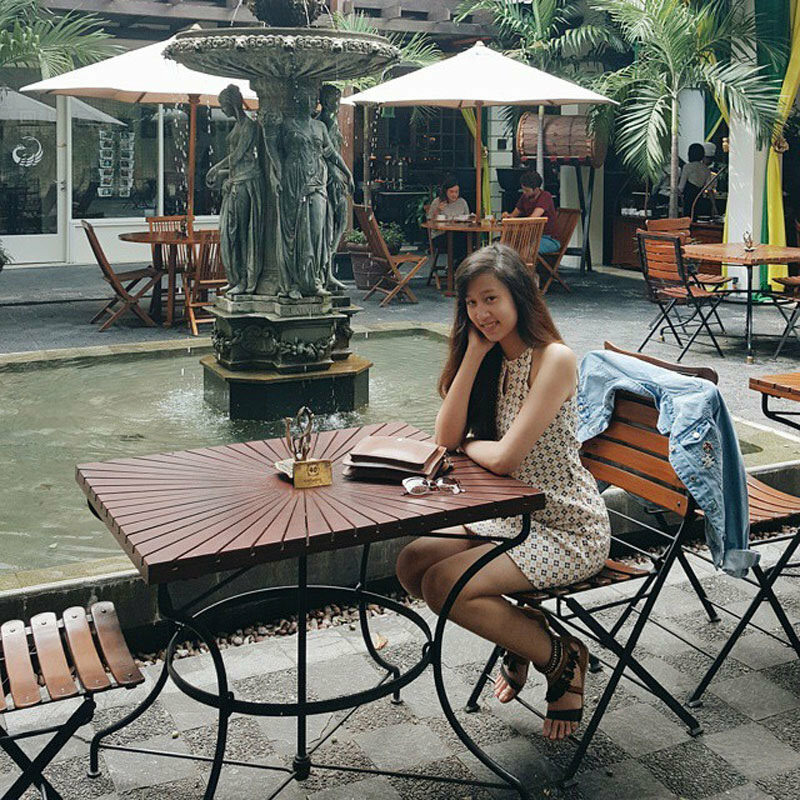 If you don’t wish to walk, you may also check with the concierge on getting around or renting a car (Malioboro Street is a short 6km drive away!). You will be hard pressed to find a bad review of The Phoenix Hotel, which is why this list simply had to include this invaluable 5-star gem that’s worth every cent splurged. 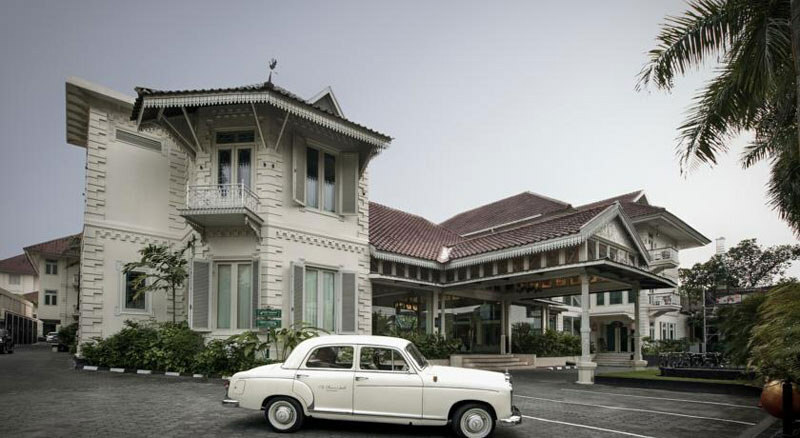 The architecture of this property is heavily influenced by the Dutch Colonial era, as the hotel dates back to 1918 where the Dutch once occupied Java’s development. 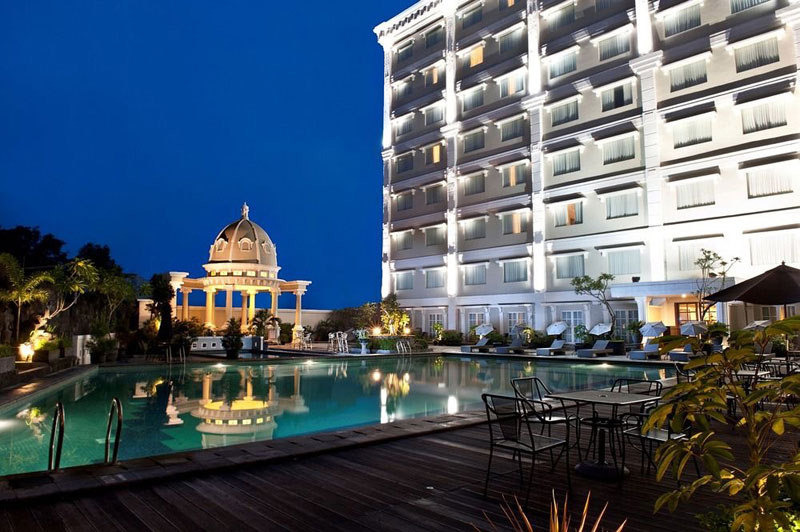 The heritage hotel is located in the first class area of downtown Yogya, far from city commotion but still within walking distance to Malioboro. 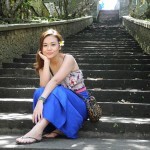 Borobudur and Prambanan are also within easy reach from it. 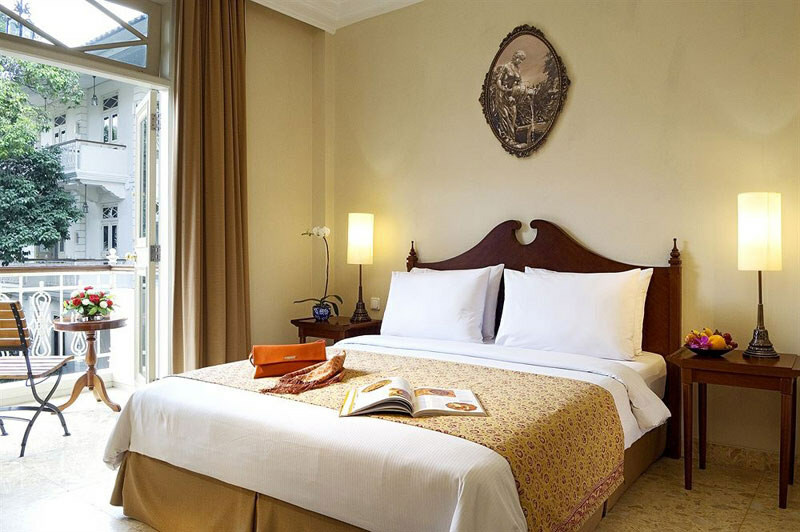 The exclusivity of the area is enhanced further by the hotel’s combination of refined classic settings with cultured Javanese values. 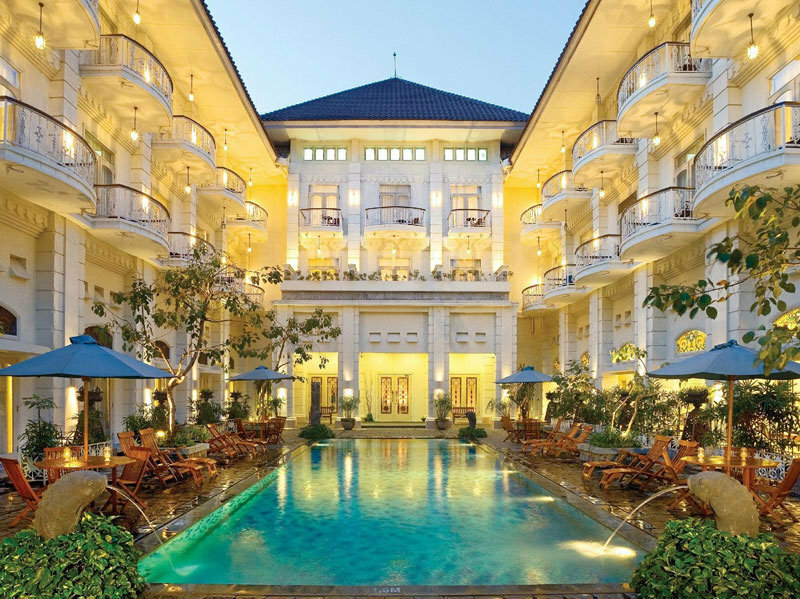 Elegant atriums and courtyards are accompanied by the soothing sounds of gamelan, while the fragrant spa and swimming pool are alive with atmospheric lighting. Its epic journey from changing hands has seen consistent upgrades and upkeep that carry significant historic value for almost a century now. 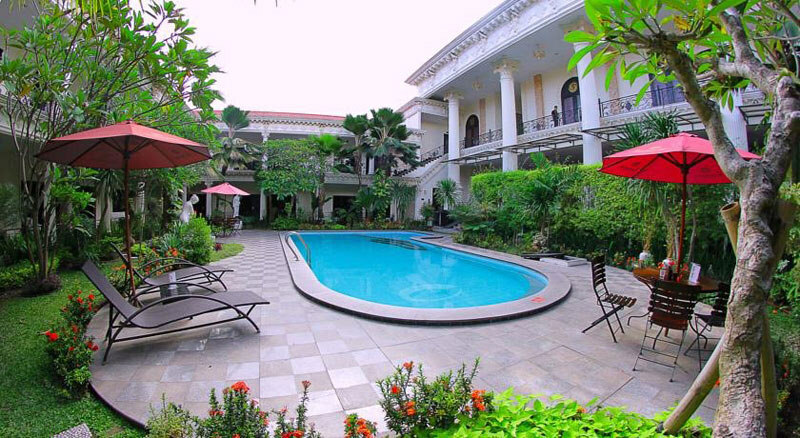 Persisting through age and changing eras, the Phoenix Yogyakarta Hotel will forever be a part of Yogyakarta’s long love affair. 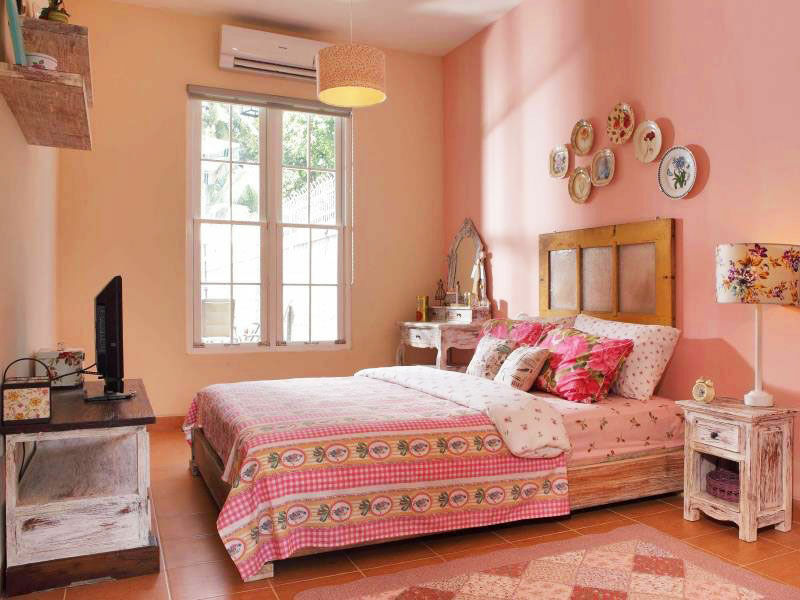 Prices may be one of the important factors in determining your place to stay. 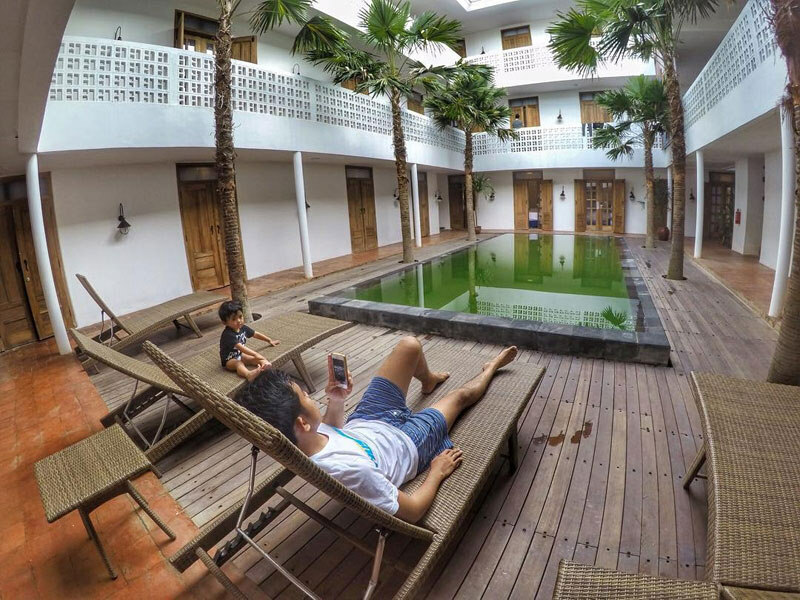 With these 12 incredible Yogyakarta hotels under $35 for a night, there’s no need to settle for something less than you deserve! Note: All prices stated above are rates for low season, before service charges and taxes. 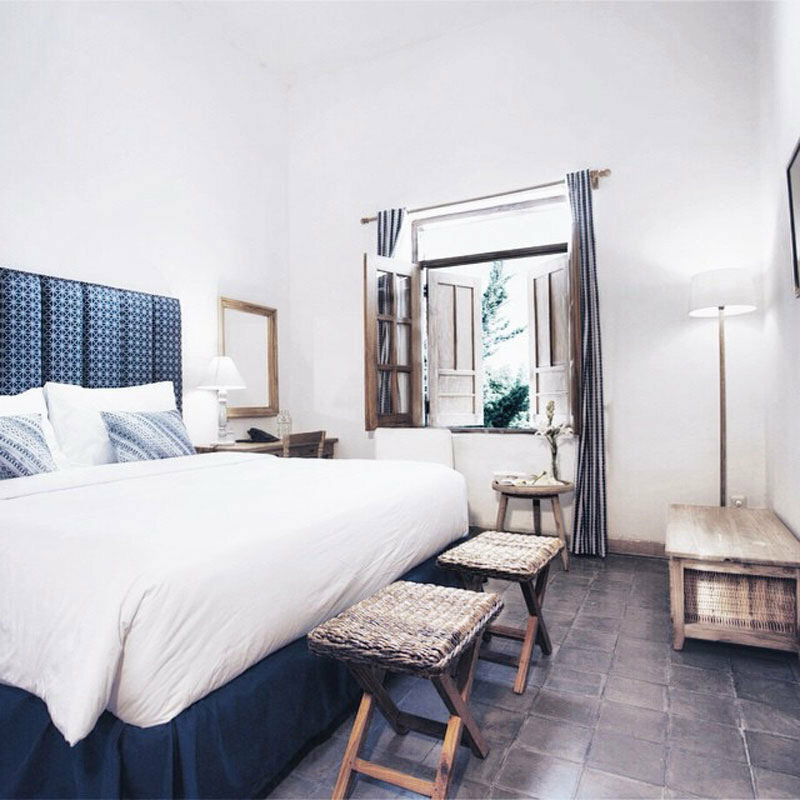 Accommodation prices fluctuate depending on high/ low season and availability. 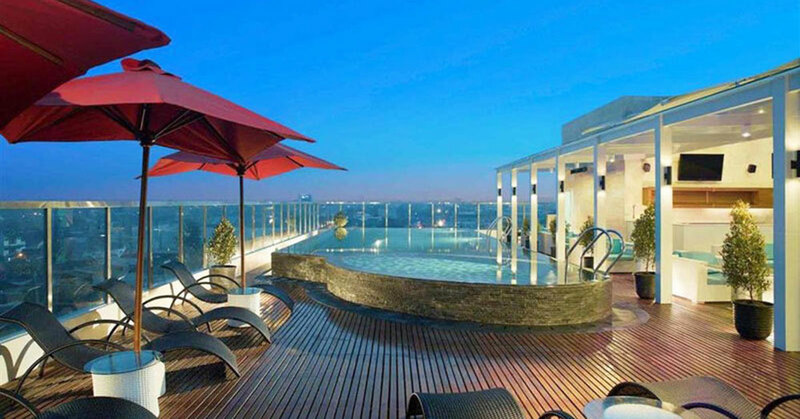 We advise you to check the final price before you confirm your booking.